The CARBURETOR Q1 features a 3-hand Swiss-made quartz movement with date and a ticking second hand. The dial is clean in design and stunningly unique. 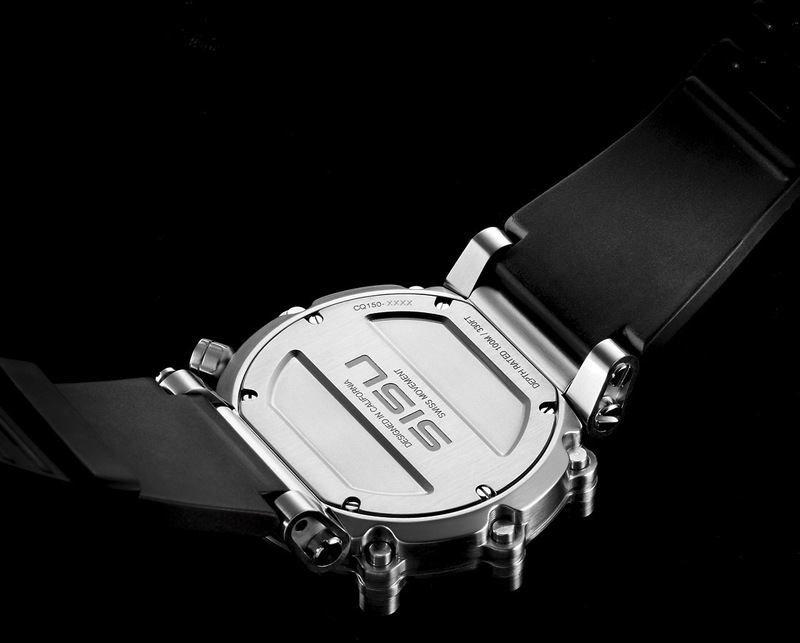 The bold 50mm case is of impact-forged, surgical grade 316L brushed stainless steel and precision machine sculpted. The screw-down crown is placed in our signature 10 o'clock position for anatomical ease and distinction, while a wide, NBR rubber strap combines elegance and comfort. 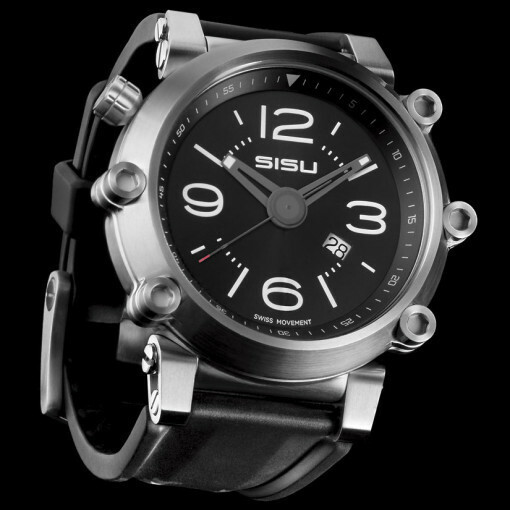 This SISU timepiece is shielded by an anti-reflective hardened mineral crystal lens. The CARBURETOR Q1 is an individually serial numbered Limited Edition timepiece.